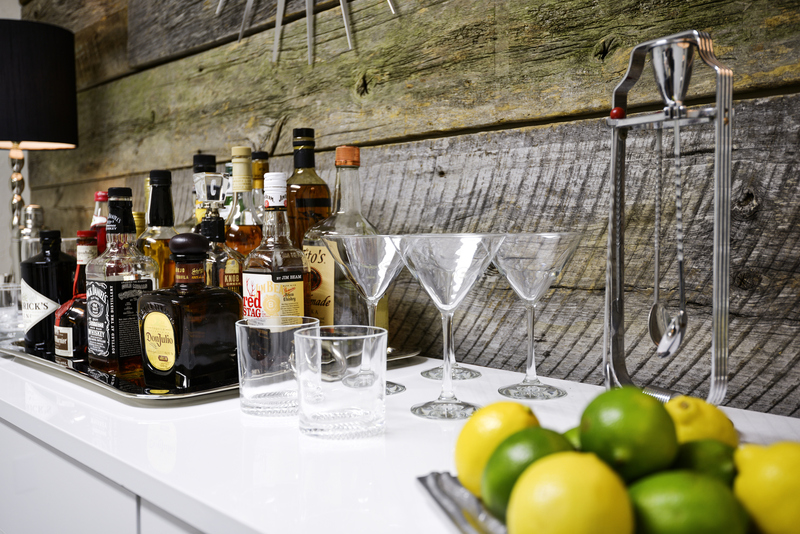 When stocking your liquor cabinet, don’t forget about the mixers, wine and garnishes. These essentials are just as important to crafting the perfect drink as the liquor itself. Whether you’re gearing up for a party or just want to build up your personal collection, here’s what every good liquor cabinet should have. If you like mixing drinks, soda, juice, tonic water and seltzer are a must. Start with orange juice and a couple of different carbonated options and expand your collection from there. Cola, orange and lemon-lime sodas can be used to create a variety of delicious cocktails. Even things like milk, chocolate milk, coffee, apple cider and energy drinks can be great mixers to keep on hand. Plus, if you’re entertaining guests who don’t drink alcohol, you can whip up a fun drink they can still enjoy while others sip cocktails. It’s always a good idea to have a few bottles of red and white wine and a variety of beer to complement your liquor cabinet as well. Easy to serve and always an elegant choice, wine is ideal for dinner parties and nights in with friends, as well as wine-based cocktails and spritzers. The same goes for beer – while many enjoy a pint of stout or an IPA, you can also whip up Micheladas, a Coupe de Ville or beer punch for something unique. At the end of the day, there are no rules you need to follow for stocking your liquor cabinet. As long as you have a variety of fresh ingredients, you’ll be prepared for any occasion. Make sure to keep plenty of your favorite flavors and a few wild cards in case you or your guests are feeling adventurous. From flavored malt beverages to soda, water and juice, Columbia Distributing carries a diverse range of both alcoholic and non-alcoholic beverages. Contact us to ask about our distributing services today.